Alpha Heating Innovation was established more than 50 years ago. Today the company manufactures natural gas and LPG boilers for properties of every size. The range includes Combi, System and Regular as well as energy saving products designed to integrate with them such as solar thermal and flue gas heat recovery. In addition to domestic boilers Alpha also produce boilers designed for larger, commercial properties. The company prizes innovation, reliability and energy efficiency when designing heating solutions and they provide an impressive aftercare package for their customers. Combi boilers do not require a hot water cylinder and header tank as they take their water supply directly from the mains and produce hot water on demand for both your radiators and taps. Alpha’s InTec range of Combi boilers is suited to small to medium sized homes. The most popular range is the InTec C which is available in 2 outputs, but the more recent model – the InTec2 CE – is smaller and lighter and delivers better energy efficiency. They also offer the E-Tec range which includes a brand new stainless steel heat exchanger and is their smallest boiler yet. An Alpha System boiler with an unvented hot water cylinder will produce hot water for your central heating and for your taps. The InTec S models are available in 3 different output for small, medium and large homes. They are compact in size and have been designed with simple installation in mind. The ProTec Plus range has been designed for installation in larger properties with a significant demand for heating and hot water. They are suitable for fan-assisted, sealed heating systems only. Alpha Regular boilers are ideal if you’re looking to replace the boiler in an older, traditional heating system i.e. a system which includes a feed and expansion tank in the loft and a hot water storage cylinder. Alpha CDR heat-only boilers are intended for use with open-vented or sealed heating systems. The boilers are compact and lightweight and available in 3 outputs. Below you can find more information about some of Alpha’s most popular discontinued models (ideal if you want to compare your current boiler to their new offerings). Purchasing heating controls for your boiler gives you more control over your energy usage and can help to significantly improve energy efficiency and reduce bills. Take a look at the energy efficiency rating of Alpha boilers here. Alpha Climatic: modulating remote control with multi-channel time and temperature programmer plus integrated thermostat and BUS system. Available in wired and wireless versions Digital EasyStat: simple, button control wireless time and temperature control with 7 day programming and settings in one hour increments Mechanical EasyStat: 24-hour plug-in mechanical clock with time and temperature controller that can provide maximum and minimum room temperature control. Alpha boilers are very competitively priced with models costing between £650 to £1,300 on average. However, some of the more powerful, commercial boilers can cost in the region of £1,800. 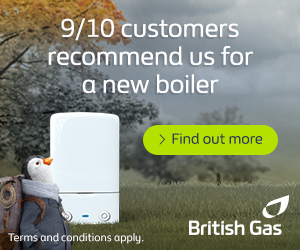 The best way to save money on a new boiler is to compare prices from more than one supplier. You can compare the prices and level of service on offer and make the best choice for your home. Alpha offer standard guarantees of between 3 – 7 years on their boilers which is slightly above average by industry standards. However, if you purchase the PremierPack mounting jig, Alpha will extend the guarantee by another 2 years. This PremierPack not only makes installation simpler and easier but also includes the Alpha Cyclone magnetic filter which helps to remove debris from the system and prevent blockages. Alpha offer a range of high efficiency boilers at competitive prices so you should be able to find a model to suit your home. In addition, they offer a range of efficiency enhancing accessories (including SolarSmart water heating technology) and heating controls to enable you to make the most of your home’s heating. Finally, they also offer service plans and breakdown cover to give you peace of mind should anything go wrong in the future.